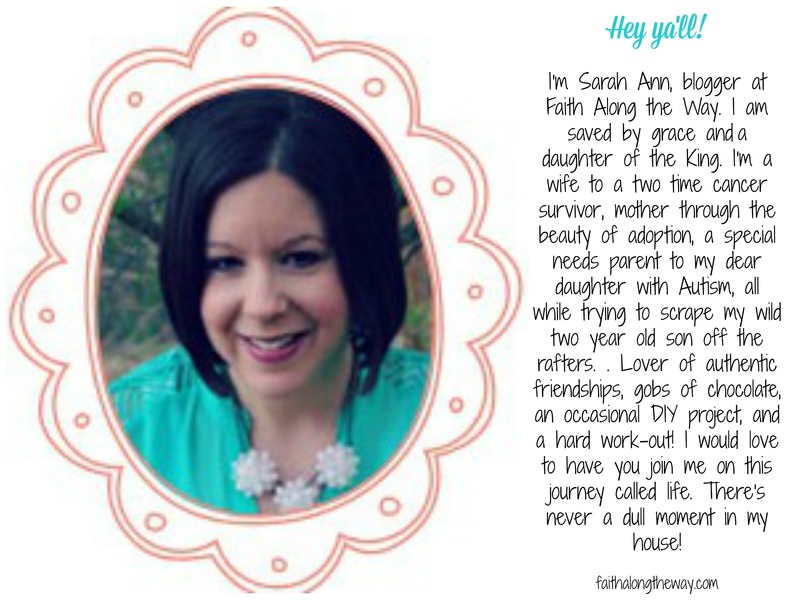 Caregiver Connection: I met Sarah Ann through the #write31days challenge in October. Her amazing story caught my attention, and she graciously agreed to guest post and share part of her journey. Who she cares for: Joy, her autistic daughter. Favorite Bible Verse: “I keep my eyes always on the Lord. 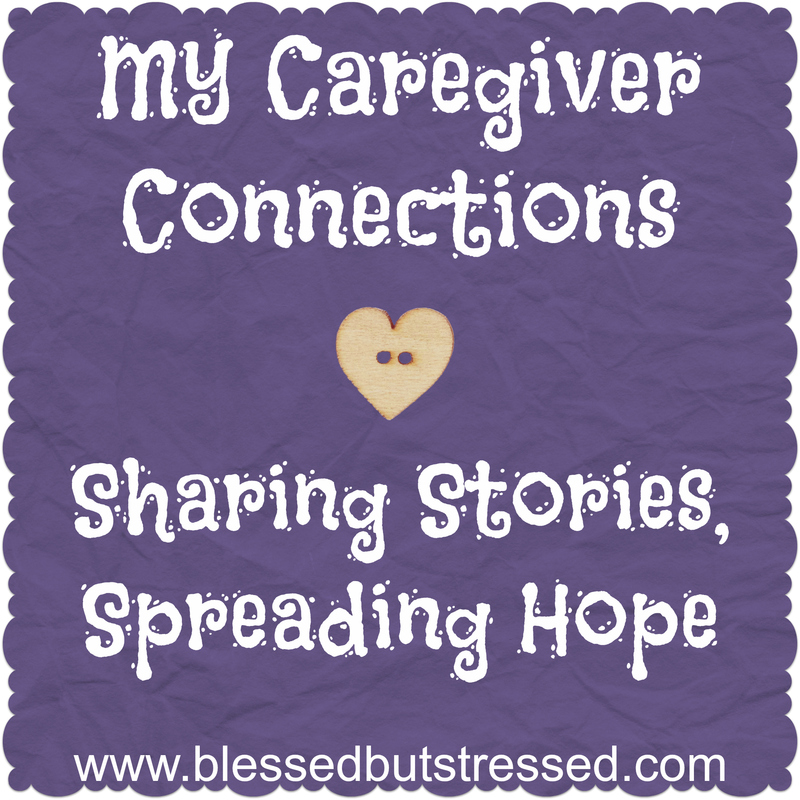 As the oldest of four children, I was born a caregiver. At an early age, I was feeding babies and changing diapers, and quickly blossomed into the role of the responsible mother’s helper and big sister. Being a nurturer prompted me to get my degree in Special Education and my role as a caregiver continued as I shined God’s love into the lives of my extra special students. 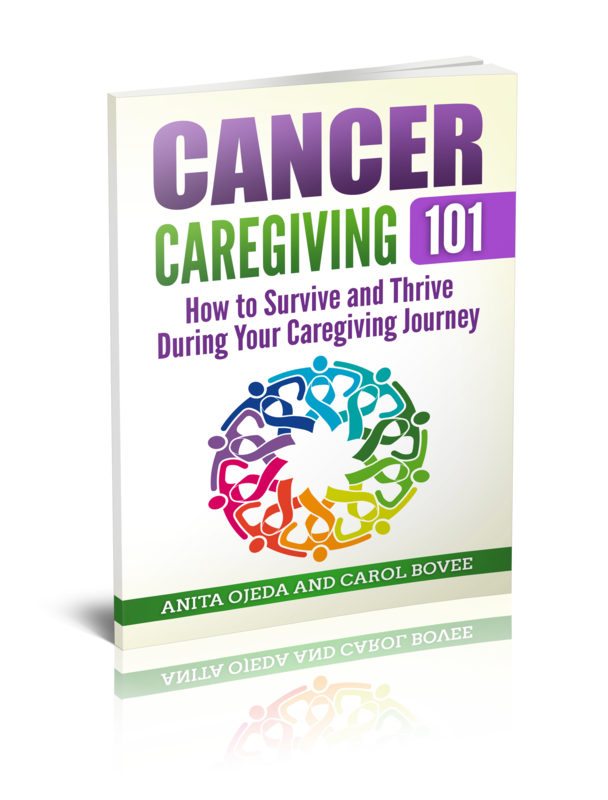 My role of caregiver changed drastically in the second year of my marriage when my husband was diagnosed with cancer and I doted on him during radiation and chemotherapy. When we decided to expand our family, God had other plans and for five long years I prayed for a child to love. Through anguish, sorrow and grief, God broke my spirit and I surrendered fully to His plan for us, as I relinquished my dream of motherhood back to Him. In His timing and with His power, God united us as a family with our baby girl, Joy, through the beauty of adoption. Twenty months later, God surprised us with another miracle, Joy’s biological brother, Bubs. In love with our Joy, we didn’t mind that she lagged behind in a few developmental milestones. Eventually she caught on to concepts that her peers had been doing for months. 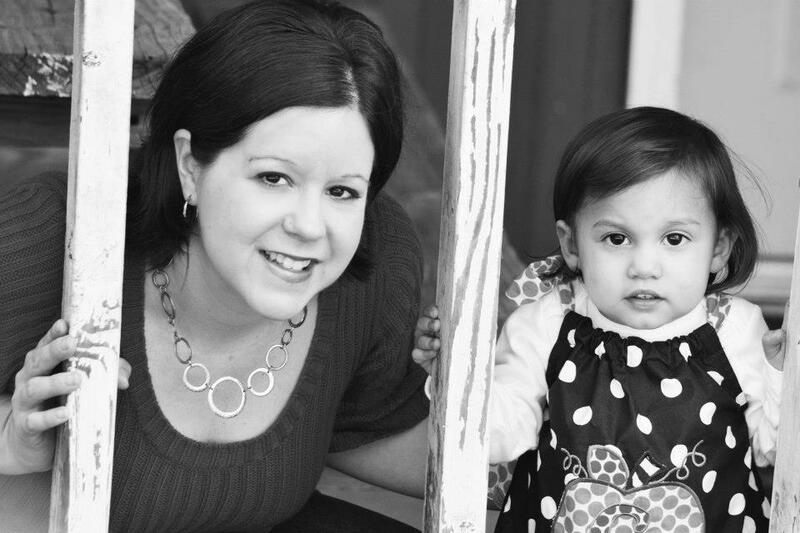 When she wasn’t walking at 18 months old, Joy began physical therapy and soon after, the therapist recommended screening for Autism. I was devastated, since I had had a sinking suspicion for months that she might be on the spectrum. Hand flapping, limited social skills and slowing speech development haunted the dreams of this former special educator and I just knew that she had autism. Surprisingly, when the testing concluded, she was NOT diagnosed with autism. We went on with life, although Joy continued to lag behind the development of her peers. A year later, when it was time to complete another round of testing, the results were not the same. This time it was obvious. Joy was on the autism spectrum. Grief engulfed me as I struggled to process her diagnosis, yet I felt surrounded by God’s presence, knowing that He walked this road with me and allowed this to filter through His mighty hands. Logically though, I could not comprehend how life would ever return to normal and how everything would be all right. I was blinded by our present circumstances; the tantrums, the middle of the night wakings, the head banging, the limited vocabulary and I grieved the loss of a normal future. Grasping at straws, I diligently researched cures for autism, finding specific therapies and diets that were found to have a high success rate in treating autism. I needed to find hope for this condition. Yet there is hope for her, regardless of treatments and interventions we try. There is a hope that despite our darkest days, God is in control. He has a beautiful plan for her life and for the life of our family. Lovingly, God listened to my rants, dried my tears, reassured my broken heart and faithfully provided shelter from the storm. His mercy met me in my fears, my anxiety and in my weariness, when I was unable to shoulder the burden of the caring for her. A year has passed since God brought me out of the darkness and through the journey of accepting autism. Our Joy currently attends a Special Needs Preschool program through our local system and is making slow but steady progress. A gluten-free dairy-free diet has brought a lessening of the hand flapping and head banging that used to plague her days. Overall she is happier, sleeping better and easier to manage, although we still have a long way to go. She still has moments of meltdowns, tantrums, and sheer frustration. I still have days where I wonder what God is doing in our lives and how I am supposed to keep up my role as caregiver to her for the unforeseen future. It’s in those moments where He showers me with His peace that I can go on to clean another mess, dry her little eyes and care for her special spirit, knowing that He who promised is faithful. Find more inspirational stories here. How has God comforted you in your caregiver journey?